The 2018 Continental convertible is available with either 4.0-liter turbocharged V8 or 6.0-liter turbocharged W12 engine. Power outputs range from 500 hp and 487 lb-ft right up to 700 hp and 750 lb-ft. All come with all-wheel drive and an 8-speed automatic transmission. Performance levels are superb and the standard adaptive air suspension provides a comfortable ride. All trim levels offer full LED lighting and a high quality interior although a lack of modern safety devices and an outdated infotainment system trail the newer competition. V8 models are the ones to go for but the rapid 700 hp Supersports W12 is hard to ignore. 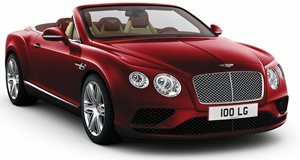 While the new Bentley Continental has been launched in a coupe variant, the convertible continues on in its current form and while it may not be fitted with the latest technological systems, it still offers top-class levels of luxury and performance. Shoppers have a choice of powerful engines as well as a vast array of customizations to choose from. Stepping into the Continental reveals a level of craftmanship that transcends product life cycles and rather focuses on the more timeless aspect of quality and how it makes you feel to sit inside such a vehicle. 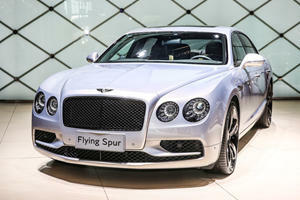 On both of these fronts the Bentley Continental is still right up there with the best in its class. Less esoteric observations include a set of front seats that offer excellent comfort for longer trips and a rear row that while comfortable, is best suited for children or your Louis Vuitton bags. The trunk is deep but the opening is not quite large enough for bulkier items. The VW group may be responsible for this cars development but most buttons and switchgear are bespoke item that befits such a luxurious vehicle. The infotainment system is the only real weak point as it is slow and outdated compared to the latest systems. Standard all-wheel drive and a surfeit of power regardless of the engine option allows the Continental to travel along at serious speeds over most road surfaces. Adaptive suspension and high levels of refinement make for a very comfortable cruiser too and the thick soft top is well insulated. This is a heavy vehicle though and while there are high levels of grip it does not encourage press-on driving. 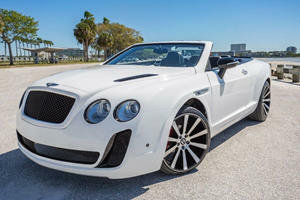 The 2018 Continental convertible is available with a ‘base’ 4.0-liter turbocharged V8 which produces 500 horsepower and 487 lb-ft of torque or 521 hp and 502 lb-ft depending on trim level. There is also a turbocharged 6.0-liter W12 which produces either 582 hp and 531 lb-ft, 633 hp and 620 lb-ft or a massive 700 hp and 750 lb-ft based on the model. All variants come with all-wheel drive and an 8-speed automatic transmission. The V8 powered models offer almost as much performance as the heavier and thirstier W12 models although for ultimate acceleration and bragging rights, the 700 hp Supersports variant is the clear leader. It obliterates the 0-60 mph benchmark in 3.7-seconds topping out at 205mph. That said, the 500 hp V8 is only a second slower to 60 mph. The combined fuel economy figures range from 17 mpg to 13 mpg. The GT V8 may be the entry level offering but it features 20-inch alloys, full LED exterior lighting, air suspension with adaptive damping and electronic height control, 8-speaker premium audio system and an 8-inch infotainment system with navigation. The GT V8 S has 521 hp and offers a few more luxurious interior finishes as well as unique alloys and a larger range of customization options. The Continental GT is the first of the W12 models, producing 582 hp it includes all of the above and adds some subtle luxury upgrades such as Burr Walnut veneer and a leather and chrome trimmed gear lever. The GT Speed makes 633 hp and features lower sports suspension, dark tint LED lighting and Mulliner Driving Specification which means you get diamond quilted seats an indented leather headliner and a choice of 21-inch alloys. The top Supersports trim offers 700 hp from a revised W12 engine, Carbon ceramic brakes, an updated suspension and revised software for the transmission, torque vectoring and carbon fiber detailing. Depending on the trim selected there are up to 17 exterior paint colors, 8 roof interior colors, 11 leather colors and 18 accent colors to choose from. A Naim audio system and a range of personalized color choices can also be specified. There may be technologically far more accomplished rivals around but the Continental GT’s sumptuously finished cabin and superb material quality is still up there with the best in class. The basic design may have been around for over a decade but detail improvements mean that performance levels and driving dynamics are still excellent. The V8 models are the better-balanced offerings, the only weak points being an outdated infotainment system and a lack of the latest safety features. But would it fool your neighbors?